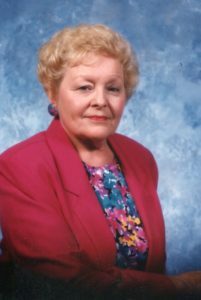 Claybourn Thompson Allen Snipes, 86, passed away peacefully at Springbrook Nursing and Rehab, Clayton on February 1, 2019. Claybourn was born on June 18, 1932 to the late Millard Preston and Pearlie Overby Thompson. She was preceded in death by her beloved daughter Elizabeth (Beth) Allen Brady, brother M. P. Thompson, Jr. and sisters Gladys Mobley, Lissie Langdon and Callie Gray Thompson; first husband Charles H. Allen, Jr. and second husband Norman Snipes. Claybourn graduated from Princeton High School as her class Valedictorian and was retired from Bayer Corporation. She was a gifted seamstress and excellent cook. She enjoyed gardening, Christmas baking and collecting cook books. Her love and dedication for her family was the source of her amazing strength and grace. Her family is eternally thankful for the precious memories and grateful for her peace. Funeral services will be held on Wednesday, February 6, at 2:00 PM in the chapel of Parrish Funeral Home in Selma with Rev. Dennis Pollock officiating. Entombment will be in Selma Memorial Gardens. The family will receive friends at the funeral home on Tuesday from 6 to 8 PM. She is survived by her loving daughter Rose Allen Malloy and husband Leigh of Clayton; four grandsons, Steve Murphy and wife Monika of Raleigh, Clay Malloy and wife Susie of Huntersville, Marc Malloy and wife Lisa of Jupiter, FL, and Jess Malloy of Kansas City, KS; five great grandchildren, the loves of her life, Sara Elizabeth Murphy, Ella Rose Murphy, Morgan P. Malloy, Noah B. Malloy and Dylan A. Malloy; sisters Beulah Peedin of Smithfield and Connie Godwin of Pine Level; brothers Harold Thompson and wife Cathy of Clayton, Sherrill Thompson and wife Jean of Smithfield; and many close nieces, nephews and wonderful friends. In lieu of flowers, contributions may be made in her memory to Steven’s Chapel Baptist Church, 2850 Steven’s Chapel Rd., Smithfield, NC 27577 or Old Fashion Way Ministry, 6434 Brogden Rd., Smithfield, NC 27577.